After inoculating the milk with culture, then setting the curd with rennet it’s time to prepare the curds for pressing into cheese. There are several different ways process the curds and each of the methods will affect the cheese. Whether you’re stretching for mozzarella or cooking the curds for cheddar, here is everything you need to know about preparing your curds for pressing. 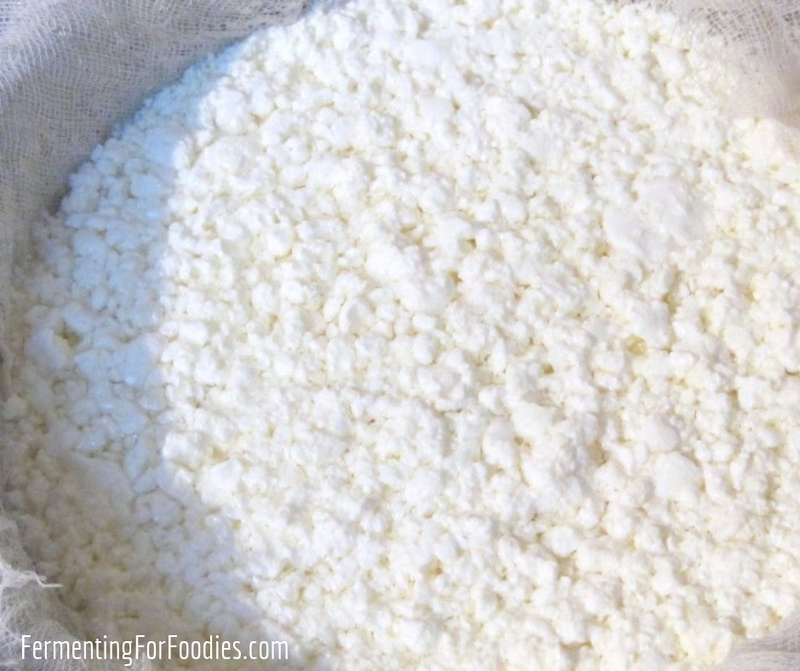 Note: This post on preparing curds is part of a series of posts on cheesemaking. Check out Cheesemaking 101: Overview for a complete list of topics. After the rennet has set in the milk for 30 minutes, it is time to check whether the curd has set. Test for a “clean break” by inserting a knife into the milk and pulling it to the side. It should make a firm separation and they may be a bit of yellowish whey on top of the curded milk. See photo below for an example of a a clean break. Milk was too cold (rennet works best around 40C/104F). The milk didn’t reach the right level of acidity (rennet works quicker in acidified milk). Overheating milk (or using UHT milk) denatures proteins and affects curding. Forgetting to treat homogenized milk with calcium chloride. Interrupting the curding process by stirring before the curds have firmly set. If the milk has not curded after 1 hour, then you won’t be able to make cheese. 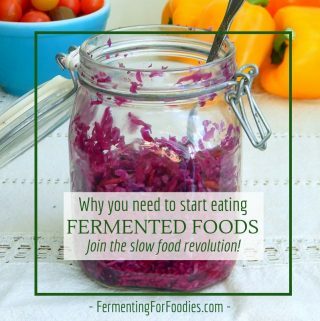 You can still use the milk as a cultured dairy, like buttermilk or milk kefir. Once the milk has set, then you cut the curd as directed by the recipe. The size of the curds will correspond to the dryness of the cheese. 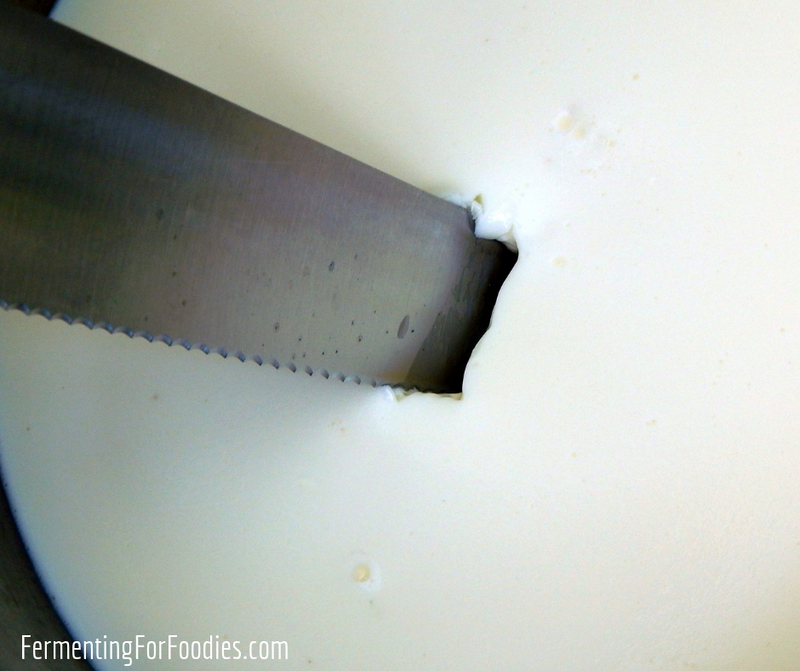 Using a long knife, cut the curd into a checkerboard pattern across the top of the pot. Then cut the curds again, this time inserting the knife on an angle along the lines you’ve already made to make sideways cuts. Here’s a photo of my cut curds for cheddar… please note, I am far from a perfectionist, so I don’t have beautifully cut curd. However, you can see how I inserted my knife a second time to make the diagonal cuts. 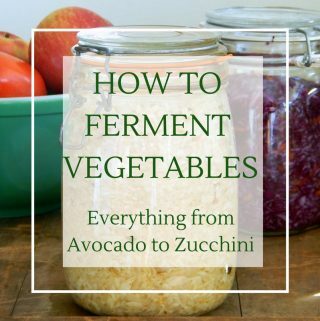 Simple cheeses, like kefir cheese and yogurt cheese, drain the curd right away. Cooking the curds is a process of slowly heating the curds to a higher temperature. 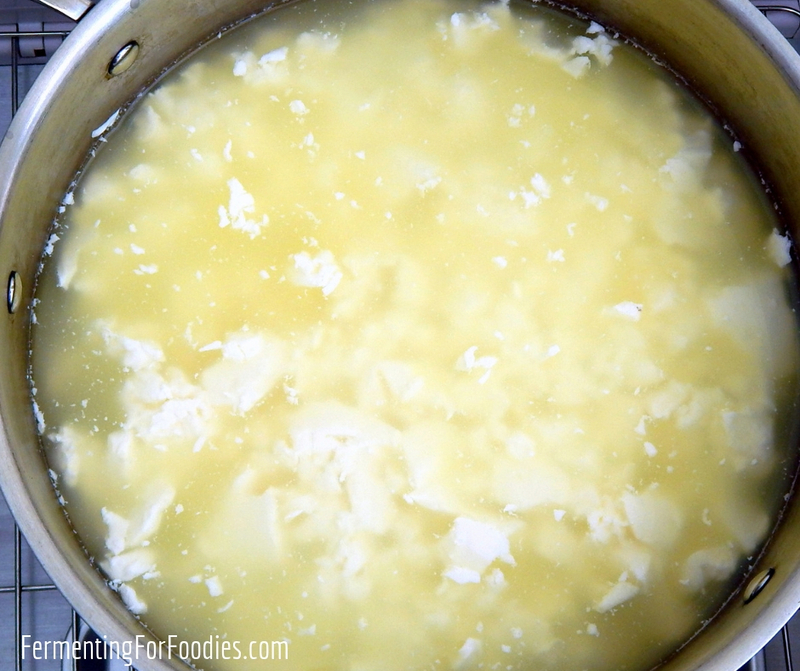 Stirred curd or cheddaring involves cooking the dried curds after draining. It results in a hard, rubbery cheeses like Cheddar, Parmesan, Emmental. Washing the curds is a process of washing away the lactose, while cooking the cheese. This creates sweeter and creamier cheeses like Edam, Gouda and Havarti. Pulled curd cheeses are really stretchy and soft, like mozzarella and provolone. Most cheese start out with cooking the curds. It involves slowly bringing the curds up to a higher temperature, while stirring every 5 minutes to prevent the curds from clumping together. I stir very gently with a slotted spoon and use my Brød & Taylor Bread Proofer & Yogurt Maker to raise the temperature. You could also raise the temperature by adding boiling water to your double basin (see Equipment for more details). 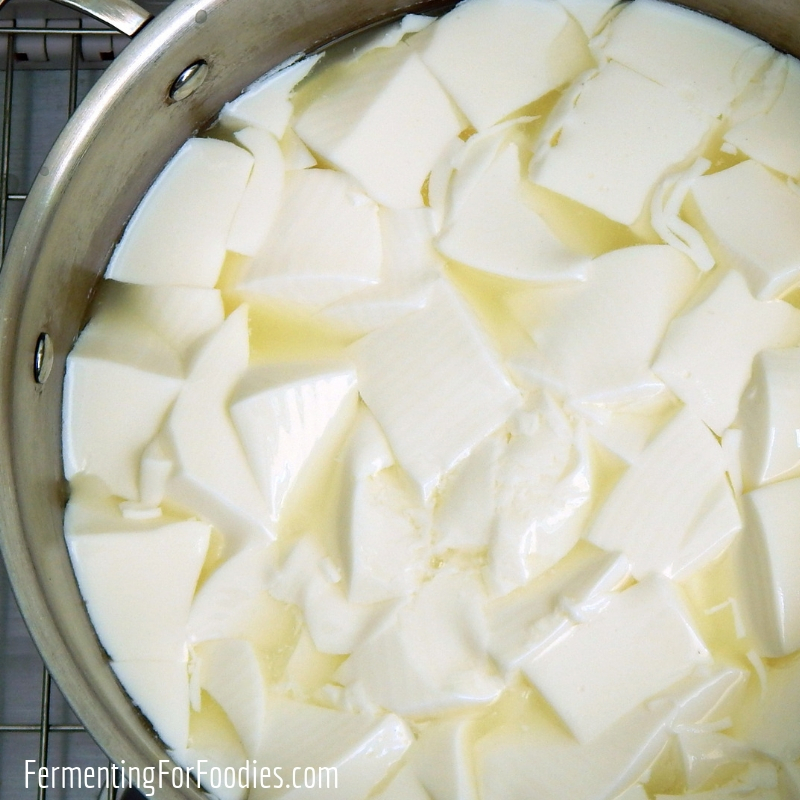 Washing the curds is a variation of cooking the curds. 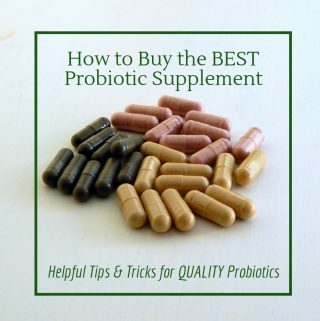 It curbs the action of the bacterial culture by removing some of the lactose. The result is a less acidic cheese. 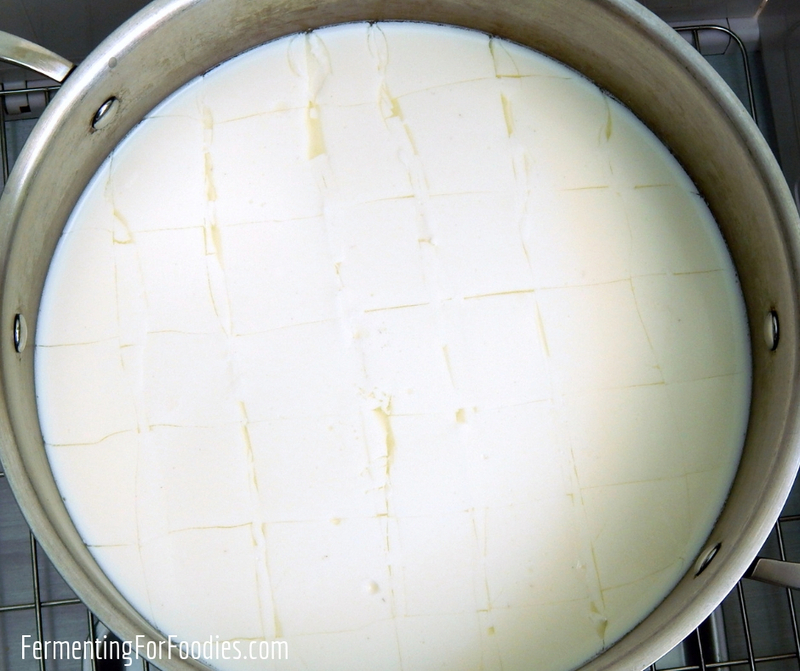 After letting your cut curds rest for 5 minutes, drain off 1/3 of the whey. Then stirring while stirring gently, add back the equivalent amount of liquid with warm water. Then the curds are slowly cooked by slowly raising the temperature and stirring every five minutes. Stirred curds are cooked after the whey has been drained. The curds are put back into the pot and gently cooked and stirred for several hours. It’s important to maintain the temperature by using a double basin or fermentation chamber. Don’t do this directly on your stovetop as you want to gently warm the curds not actually cook them. 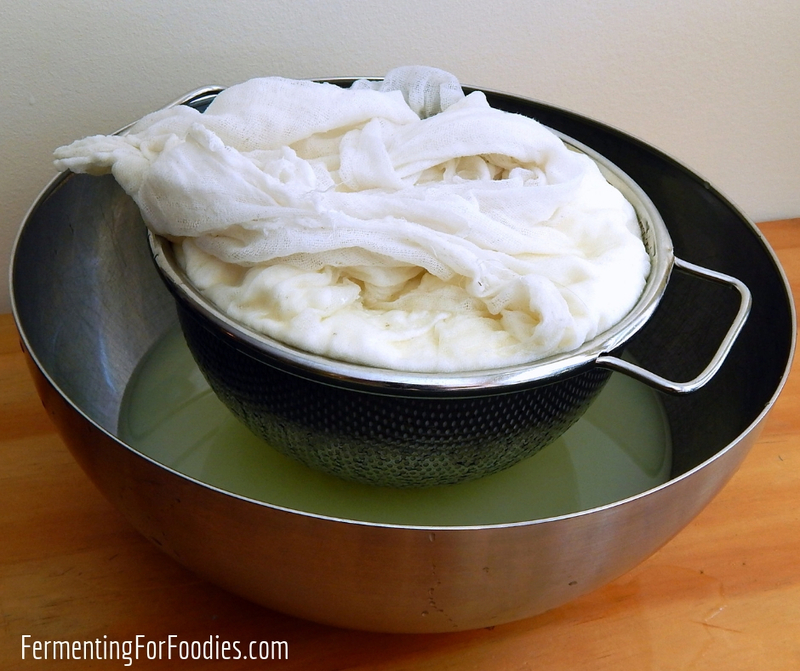 Pulled curd cheeses, like stirred curd cheeses, are heated after the whey has been drained. The goal is to continue cooking the curd until the curds are acidic. When they reach the right acidity the curds will become elastic. At that point the curds are submerged into very hot water (I wear rubber gloves) and kneaded and massaged until they become stretchy. Once the curds have been stretched, the cheese is rolled into a shiny smooth ball and submerged into cold water to firm up. It’s easiest to drain the cheese curds by pouring the whole pot through a butter muslin lined strainer. I like to save my whey so I drain my whey into a large bowl. You could let your whey go down the drain, but I don’t condone that because it’s not great for the environment and whey is full of flavour and protein. 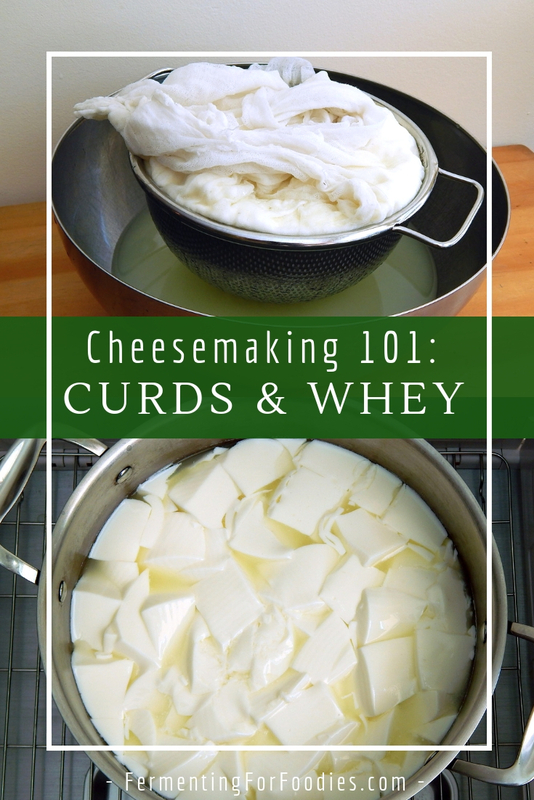 Once the whey has been initially drained through a strainer, either hang the curds for further draining or packing the curds into a cloth lined mold and press the cheese. Depending on the specific recipe, curds are often salted after draining and before packing into a cheese mold. Clean your hands well (see sanitation), then add the salt into the curds by hand. Just be sure to use non-iodized salt. 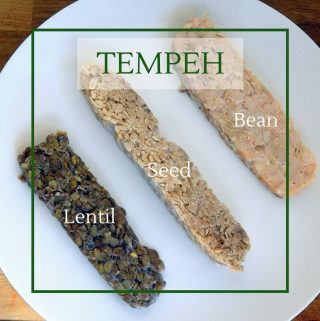 At this point, you can also add other seasonings, like spices, herbs or hot peppers. Seasonings (other than salt) should be pre-boiled for 15 minutes prior to use to ensure that they are sterile and softened. Mix in the seasonings with the salt.